Husqvarna Motorcycles is proud to launch the FC 450 ROCKSTAR EDITION model year 2019, a thrilling production model that forms the basis of the bikes to be used by Rockstar Energy HusqvarnaFactory Racing’s AMA Supercross Champions Jason Anderson and Zach Osborne throughout the 2019 season. Collecting feedback from the Rockstar Energy Husqvarna Factory Racing team and their championship-winning riders, Husqvarna Motorcycles engineers have combined this competition data with extensive testing and development to introduce a list of key upgrades. The new FC 450 ROCKSTAR EDITION features the latest in engine and chassis developments, ensuring this state-of-the-art machine offers unrivalled on-track performance. 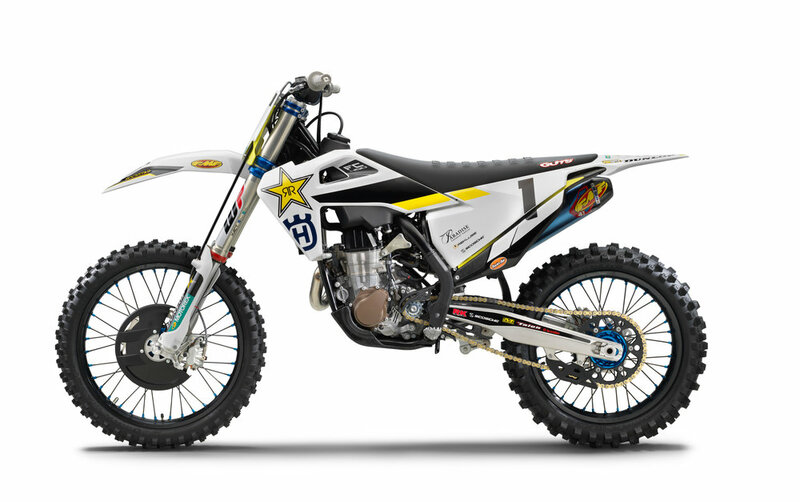 This second edition of the FC 450 ROCKSTAR EDITION continues to pay tribute to a highly successful collaboration between Husqvarna Motorcycles and their global partner Rockstar Energy Drink. Produced in limited numbers, the latest FC 450 ROCKSTAR EDITION will be available in early 2019. At the leading edge of motocross development, Husqvarna Motorcycles introduce a series of considered upgrades to the FC 450 ROCKSTAR EDITION. With the distinctive bodywork receiving new graphics, the end result clearly showcases thedirection of Husqvarna Motorcycles’ pioneeringdevelopment. 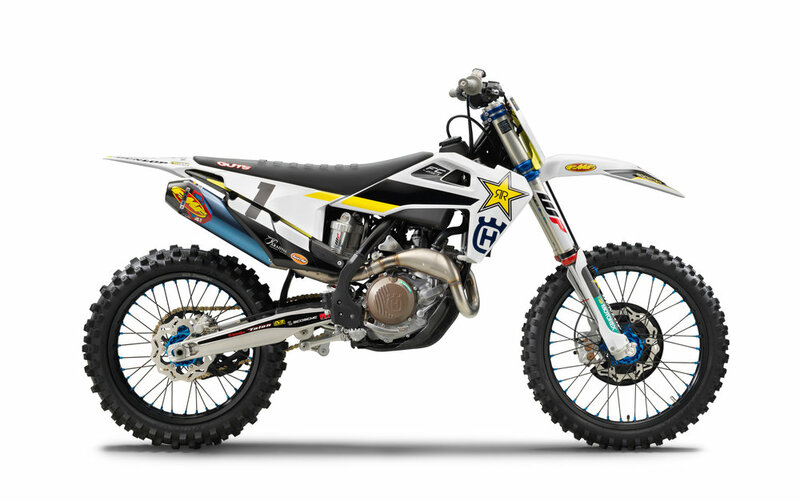 Replicating the advanced engine technology used by the Rockstar Energy Husqvarna Factory Racing team in their championship-winning machines, the FC 450 ROCKSTAR EDITION model year 2019 features a new CP forged box-in-box piston and a new PANKL conrod. Providing reduced friction, the new piston and conrod ensure the SOHC engine continues to offer the highest level of performance and reliability available in the market today. The new FC 450 ROCKSTAR EDITION machinefeatures FMF Racing’s Factory 4.1 RCT silencer.The new exhaust system has a blue anodized titanium body and a carbon end cap. In addition, it offers a shorter overall length that makes it less susceptible to damage. Moving the silencer closer to the engine also aids mass centralization. Made from high-grade aluminum, the all-new CNC- machined triple clamps feature optimally tuned steering stem stiffness as well as perfect alignment of the fork tubes for highly responsive and smooth fork action. Maximum gains in handling are provided by easy offset adjustment between 20 or 22 mm. The list of upgrades is completed with a new set of anodized D.I.D DirtStar rims and anodized machined hubs. Offering maximum weight savings, this premium-quality combination ensures maximum strength and reduced weight. Tailored to the needs of every aspiring motocross racer, the new FC 450 ROCKSTAR EDITION features a carbon fiber reinforced engine protector and a mechanical holeshot device as standard.